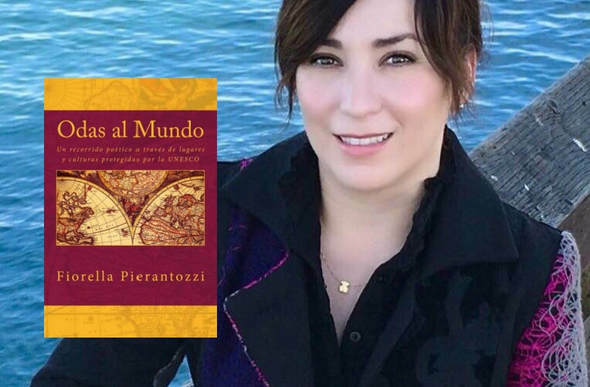 ​​In a poetic tour full of wonder, the Italian-Mexican author, Fiorella Pierantozzi, highlights the beauty and mysticism of 58 countries around the world. Her Spanish poetry collection, Odas al Mundo, celebrates the countries' spirits, cultures, as well as their natural and historical landmarks. Pierantozzi creates an aesthetically pleasing portrait with her verses that fill our senses with rich sceneries. From the green Costa Rican rainforest to India's colors and rhythms, the ruins of Machu Pichu, the magnificence of Mount Fuji and so much more. The author states in her poem titled Mundo, "Cada lugar/ cada cultura que ha nacido y perecido/ cada persona, animal o planta/ son hermosos e inigualables. With a keen sense of admiration for the cultures and landscapes of the world, Odas al Mundo will surely make the readers want to pack up their bags and travel. Most importantly, it gives readers the opportunity to expand their idiosyncratic view of humanity and understand what it means to be Civis Mundi. Fiorella Pierantozzi is a Mexican-Italian writer, poet, visual artist and philosopher. In 2015 she was a finalist in the International Poetry Award "Un café con literatos" in Madrid, Spain. 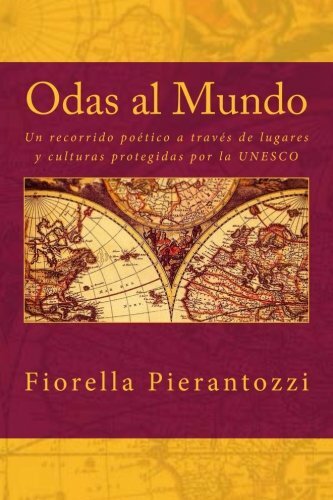 Odas al Mundo is a available for purchase on Amazon. Click ﻿here﻿ to purchase.